Small 2 bedroom ranch on 4.35 acres with 60x48 pole barn. Updated full bath with laundry area. Open floor plan, newer windows and doors, metal roof. Space set up for pellet or wood stove. Central heat is propane wall furnace. Attached 12x12 garage. 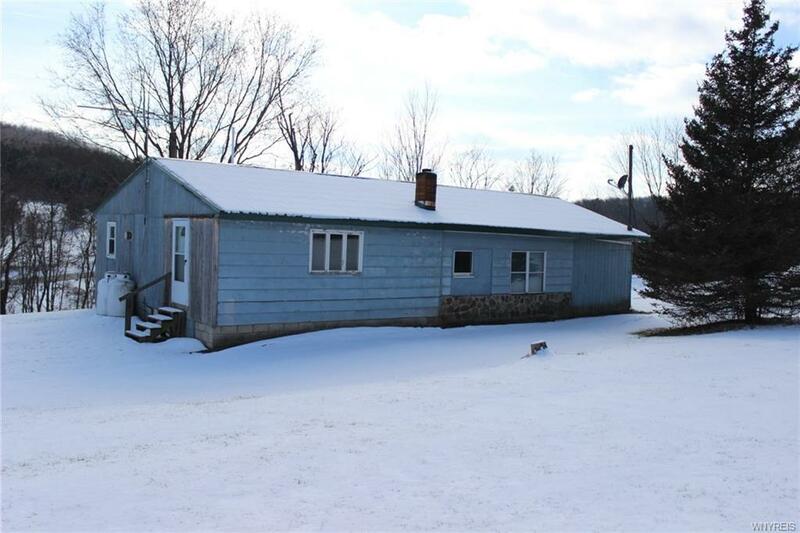 Quiet rural area, but just minutes to Franklinville. Property winterized. Electric is on. Listing information © 2019 CNYIS, GENRIS, WNYREIS. Listing provided courtesy of Homestar Realty.